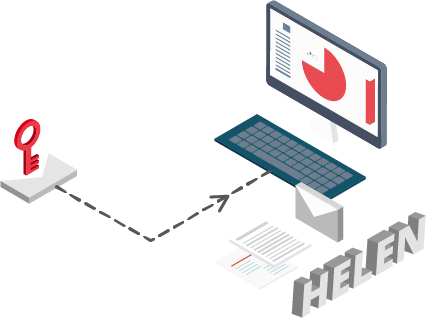 We use end-to-end encryption for all communication between Secure Swiss Data users. Helen, as a Secure Swiss Data user wants to send an email to David, who uses an insecure email provider.So, she sets a password to encrypt her email (the password is the key) and a hint for David to understand what is the password. Then the email goes through the encrypted channel before reaches our server. All emails go through our server in encrypted format and we cannot read them as the password to decrypt them is only known by the sender and the recipient. David, the insecure email provider user, should know the password to decrypt the email received. The emails are always encrypted, even when stored on the Secure Swiss Data servers. 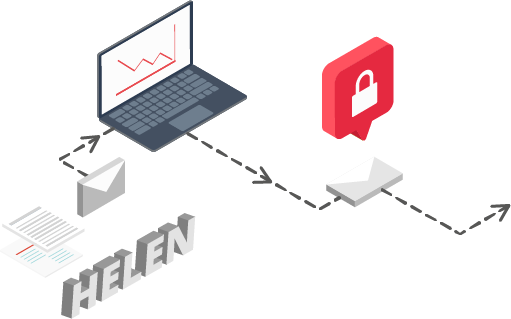 Every email, between Secure Swiss Data users, is sent encrypted from the user’s device to our server, stored on the server encrypted, and then the email is transmitted encrypted to the end Secure Swiss Data user. Encrypted emails all the way make sure that even in the case of a breach the messages are secure and nobody except the Secure Swiss Data user knows its content. The end-to-end communication between Secure Swiss Data users described above use public key cryptography techniques. 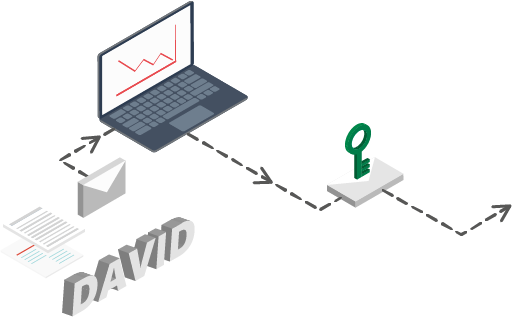 The encryption standards used are AES – advanced encryption standard and RSA in order to get the very best benefits of asymmetric – the speed of exchanging keys and symmetric – very fast and well-vetted, inside the OpenPGP standard. This way we are able to ensure secure delivery of email messages and files. 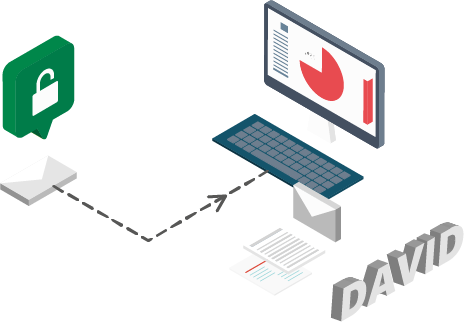 OpenPGP is also used to secure sensitive files stored in our server. The encryption process starts on the user side. The keys are generated on the user’s device when they enter the Encryption password. The encryption password decrypts the user’s private key stored encrypted on the browser. The users send and get the keys always encrypted, every time they log to the system when the correct Encryption password. So, make sure you choose strong Encryption password. Our “Zero-knowledge” ethos ensures all user data encrypted on the server. With your private encryption key you send the messages to the server encrypted. Because we don’t have access to your private encryption key, we can’t decrypt your messages, read them or scan for keywords. Secure Swiss Data can’t and will never put you under surveillance to sell your data or profile details, and there will be no advertisements.